Geeks that couldn’t get enough of the new and improved Lara Croft from last year’s reboot video game, rejoice! Dark Horse is continuing their tradition of bringing beloved series from film, television, or games to comic books with Tomb Raider: Season of the Witch, hitting both real and virtual shelves February 26th, 2014. 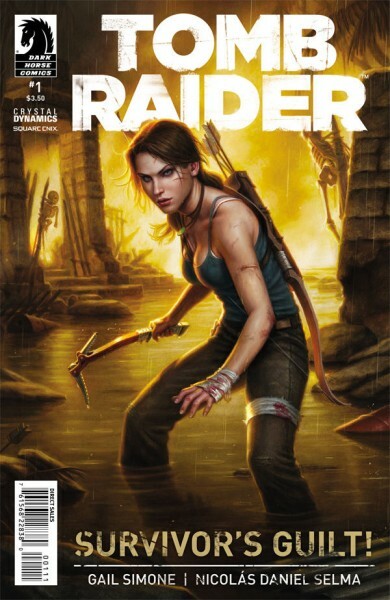 The Tomb Raider comic, the first of which is titled Survivor’s Guilt!, picks up where the game left off; Lara is plagued by nightmares due to the events on Yamatai, and her relationship with Sam appears strained. Haunted by the memories of her fallen friends, she worries for the fellow survivors of the Endurance and doesn’t hesitate to spring into action when one of them calls her in a panic. Soon, it becomes apparent that some supernatural forces are at play and Lara is once again fighting for her life. The series is being written by Gail Simone, who is best known for her work in Birds of Prey, Secret Six, and Wonder Woman. I will admit that I was a little disappointed when Rhianna Pratchett, writer for the game and the previous Tomb Raider prequel comic, wasn’t a part of it, but with Simone in charge readers can be confident that the series will continue on in good hands. The comics are to be considered the official and cannon sequel to the game, and therefore may have some influence of the events of any future titles. The comic is also expertly penciled by Nicolás Daniel Selma and overall features art that is very appealing; however, my only complaint is that the art can sometimes feel a little too static in some of the more action-based panels. Overall, my first impression of this comic is positive; Lara is responding to her trauma in a realistic way, but it’s also one that both drives the narrative forward and adds extra depth to the developing story. Her survivor’s guilt and feelings of responsibility for the well-being of her fellow survivors will be of particular significance with all their lives being threatened by something incredibly powerful. Hopefully, this series will continue to aim high and produce strong results into the future. I for one will be looking forward for issue #2. 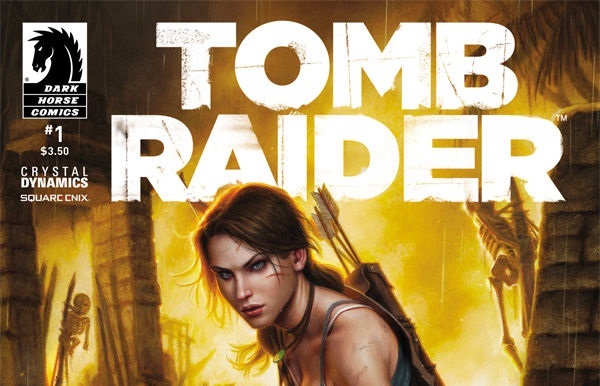 You can pre-order Tomb Raider #1: Survivor’s Guilt! at your local comic book store, or online at Dark Horse’s website.